The Wharfedale Machine which revolutionised the printing industry more than a century ago has now been given a permanent place in a Yorkshire Museum. Invented and built in the mid-19th century by the company that today is know as Dawson, Payne and Elliot, part of Vickers Printing Machinery Group, it has been installed in the museum of the Liberty of Otley. The first Wharfedale was built in 1856 and, although thousands have been built since then, the museum machine is one of the originals, dating back to 1862. Presented by the late Mr. James Stott, former sales director of Dawson, Payne and Elliot, and brother of the present Managing Director or Crabtree-Mann, Mr. Alfred Stott, it has been reassembled and restored to working order by Mr George Clarkson who, besides working in the erection shop at Otley, is a member of the archaeological and historical society. Pictured with the Wharfedale Printing Machine that has been installed in Otley Museum is Mr Stephen Payne, Sales Director of Dawson, Payne and Elliott. Mr Payne is the great-grandson of the machine's inventor, David Payne. The Wharfedale has a fascinating history. At the time of its invention engineers throughout the world were seeking ways of modernising the printing press. Little progress had been made since Gutenberg printed his famous Bible on a wooden press in Germany in 1454. The first major improvement came with the introduction of the cylinder which, when used in conjunction with a flat bed offered many advantages over the traditional method of printing from two flat surfaces. However it was the inventive genius of David Payne of Otley that was responsible for the real breakthrough: a stop-cylinder machine with a travelling bed that could deliver print without having to be stopped. Payne had been taken on by another Otley man, William Dawson, in a little back-street joiner’s shop in ****. Soon afterwards, they collaborated in building the new Ulverstonian printing machine for its inventor, Mr Stephen Soulby. There seems little doubt that it was during this project that Payne's fertile brain conceived the stop-cylinder principle that, within the next few years was to have such a shattering impact on the industry. Indeed there is evidence to suggest that the machine may have been invented as early as 1851. The story that, when the Payne family were moving house in that year, one of the Payne's sons was shown a drawing of what turned out to be the first Wharfedale. The drawing was done on the headboard of a bed which his father kept covered for fear that someone might discover his secret. For a time Dawson and Payne simply called their revolutionary new machine 'Our Own Kind' and made no effort to take out patents. Inevitably, this led to it being widely copied by other firms both in England and overseas. Not content with copying the machine, a good many firms even went to the lengths of recruiting Dawson men to show them how to build it. 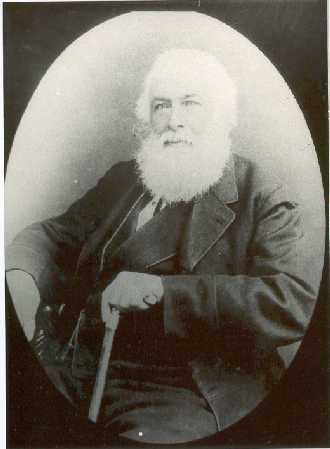 At one time, it was estimated that half the firms making the Wharfedale employed men who, at some time or other had worked for Dawson in Otley. For half a century, the Wharfedale dominated world markets and it continued to be manufactured right up to modern times. 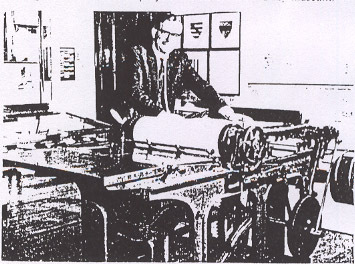 As recently as 1965, an order was placed with Dawson, Payne and Elliott for 28 of the machines to print the Holy Koran in Pakistan. Even if the Wharfedale has now almost had its day, its part in the development of mass production printing and the world-wide spread of the printed word has already ensured it a permanent place in the history books as well as in the Otley Museum.